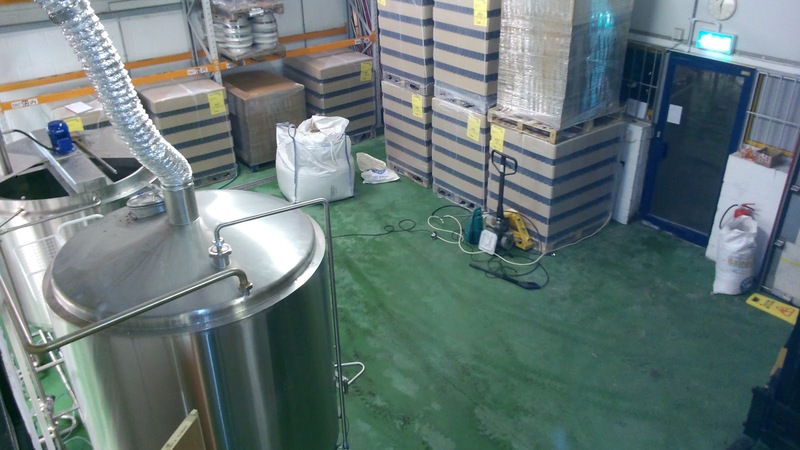 Boring Brown was not the first beer brewed on site. As many of you know, we share the location with another brewery, Ellenbergs Brewery. 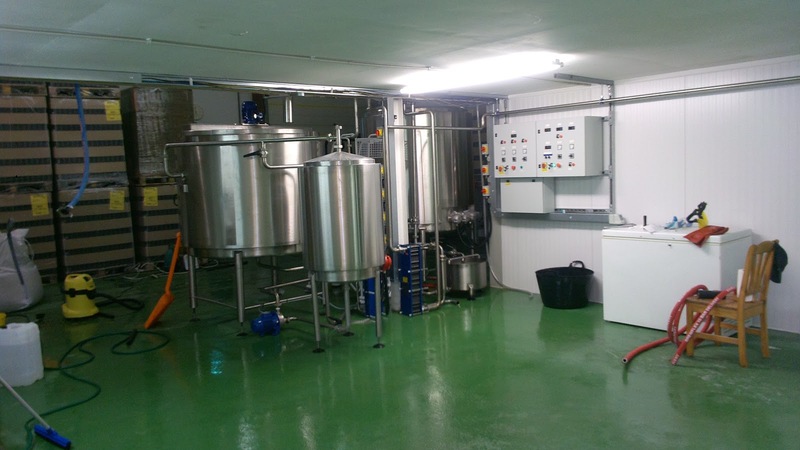 These 2 breweries are totally different entities, making vary different styles of beer, but sharing a location and equipment. 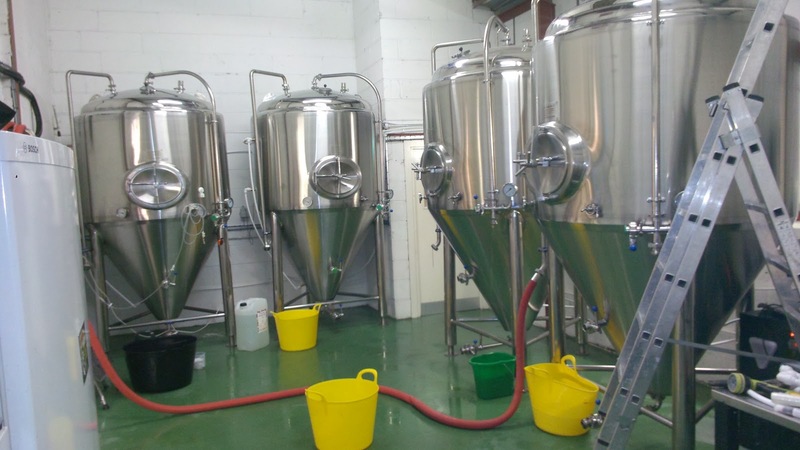 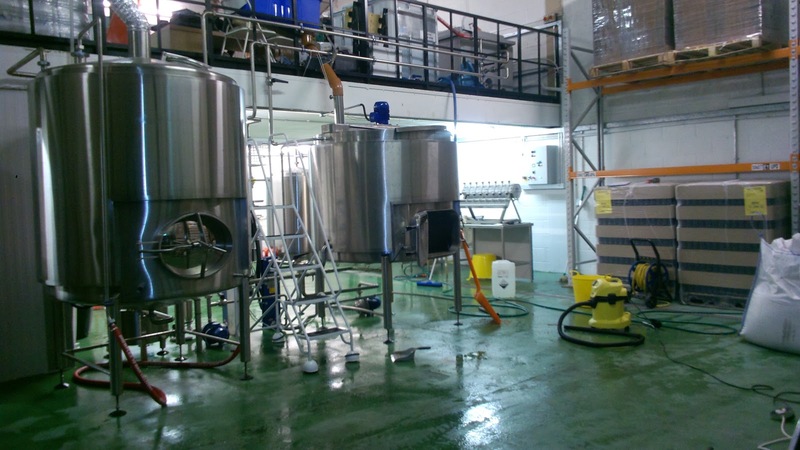 This has helped keep costs down for both breweries, meaning we can bring you even more quality beer. 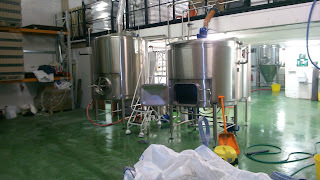 The very first beer brewed on the new brew house was an Ellenberg beer, and was their fantastic Alt. 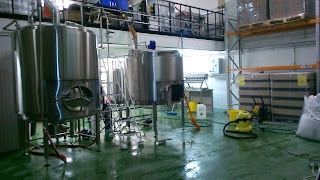 But we have to admit, as you may expect, not everything went to plan. In the first 2 pictures, of the main brew house, the mash tun is being dug out. 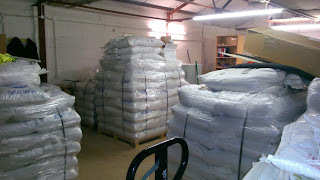 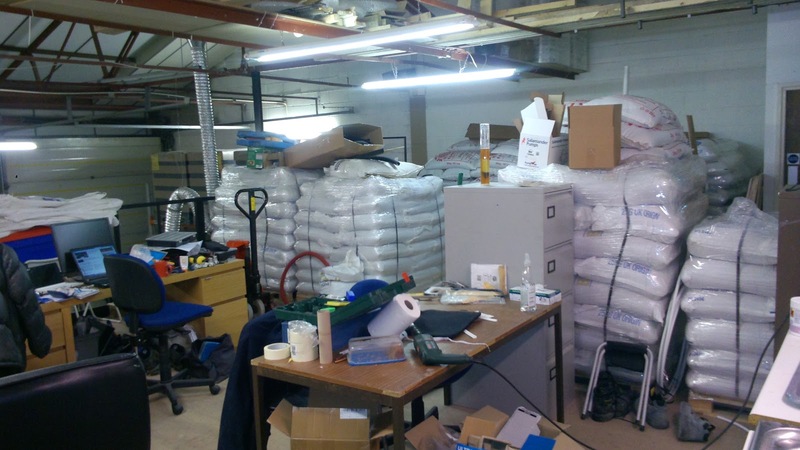 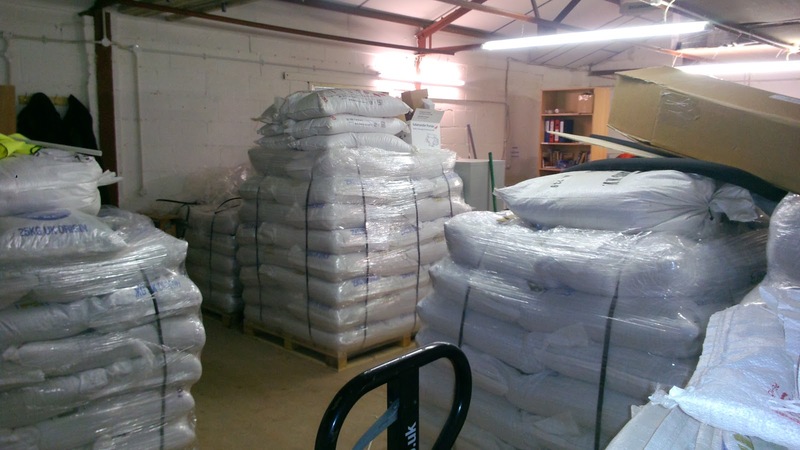 The large white sack to the right of the first picture, and bottom of the 2nd, contains the spent grain. The fermenter is about half full of Hit the Lights, as it makes its way through the cooling and into a fermenter. The floor is very wet, which is why we spent so much time and money getting the floor right in the beginning. 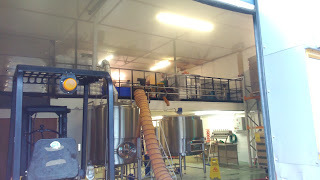 The thing hanging off the mezzanine down to the mash tun, that looks like a drain pipe, is, a drain pipe. 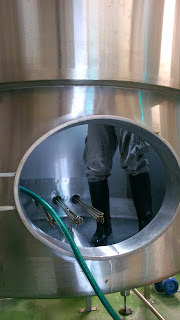 Well, it is our home made hopper and grain hydrator, which makes adding loading the grain into the tun a lot easier.